Rump has never known his full name—his mother died before she could tell him. So all his life he’s been teased and bullied for his half-a-name. But when he finds an old spinning wheel, his luck seems to change. For Rump discovers he can spin straw into gold. Magical gold. His best friend Red Riding Hood warns him that magic is dangerous—and she’s right! That gold is worth its weight in trouble. And with each thread he spins, Rump weaves himself deeper into a curse. There’s only one way to break the spell: Rump must go on a quest to find his true name, along the way defending himself against pixies, trolls, poison apples, and one beautiful but vile-mannered queen. The odds are against him, but with courage and friendship—and a cheeky sense of humor—Rump just might triumph in the end. 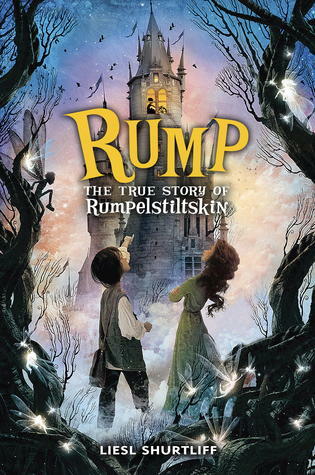 I have never read a story from the point of view of Rumpelstiltskin so this should be unique. Normally he’s the bad guy. I love that his friend is Red Riding Hood. This sounds like an exciting adventurous Middle Grade read! The cover is fantastical too! You're right, we never really read books from Rumpelstiltskin's point of view. Plus, I always find twists on fairy tales quite interesting. Great pick! Thanks for stopping by on my blog! 🙂 Happy reading. This looks adorable! Great pick! Thanks for stopping by my blog! YES, you really really really need to read Defiance. It's amazing. One of my top 3 from last year. *squees* When you read it tell me!!!! I want to hear your thoughts on it! I love a good retelling. I hope this one is as good as it sounds. Em- I love fairy tales too! Always great reads. Jennifer- The cover is great! MG has some fun ones, always so colorful. Debz- I think I found out about this book on one of your WoWs. Definitely sounds fun! I really like the cover of this one! 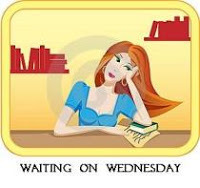 I love MG covers–don't know why, I just do! I can't wait for this, either! I love Rumpelstiltskin, and the fact that he's the good guy intrigues me. Great pick! This sounds really cute! Great pick. I love these fairy tales. Oh this sounds super cute. A book I could enjoy and the kids can as well!! Oh definitely! I hope my 6 year old will let me start reading chapter books to him soon. His attention span is almost there. Your book sounds thrilling! I just added it to my goodreads. I'll have to feature it on a WoW. I love retellings like this! This one sounds great. I think my kids would love it as much as I will.